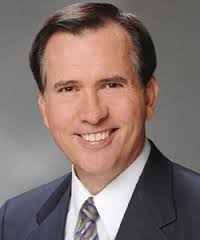 In an incredible display of arrogance, the media spokesperson for The State Bar of Arizona, Rick DeBruhl, told The Arizona Capitol Times that 25 percent of his job is politics. How much of your time at the State Bar is dedicated to politics?I’m going to say 25 percent. Part of what we do is we have our own bills we bring to the Legislature. This is incredible considering SCOTUS ruled in Keller v State Bar of California that state bars cannot use attorney dues on "subsidizing the organization’s political or ideological activities." 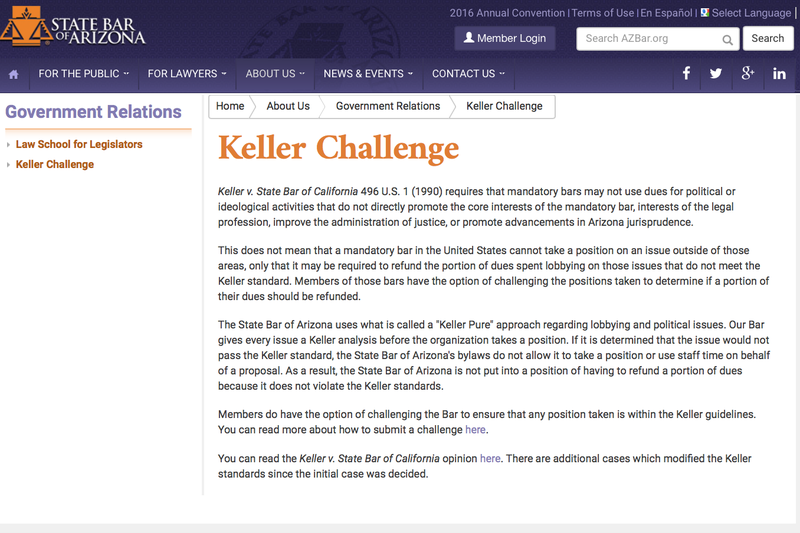 The Bar states on its website that it does not engage in any of the prohibited political or ideological activities, so there is no need to offer attorneys to opt out of a portion of their dues. I've covered previously various ways the Bar DOES engage in political lobbying and activities. Now that its spokesperson has finally come out and admitted it, can something finally be done? The California Bar is under investigation and its CEO and other staffers have resigned or were forced out. Unfortunately, Bar management like DeBruhl operate brazenly, knowing they are virtually untouchable. 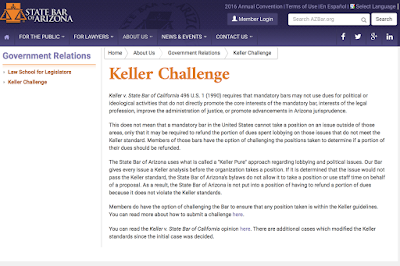 The Arizona Bar has the second highest mandatory dues in the country, so with deep pockets they can spend all day lobbying legislators to preserve their dishonest fiefdom, which is how they were able to defeat the Bar reform bill last week in the Arizona Senate. They also know that few attorneys risk challenging the Bar, for fear of retaliation and losing their bar licenses. It is no coincidence that at least a couple of the attorneys who dared to testify to the legislature supporting the bill now have the Bar investigating them over bogus things. The bill will be brought back next year, and hopefully with the appointment of respected, ethical attorney Clint Bolick to the Arizona Supreme Court, and (if Governor Ducey signs the bill), two more judges that Ducey will appoint so they will likely be ethical and trustworthy, the court, which oversees the Bar, can implement reforms.